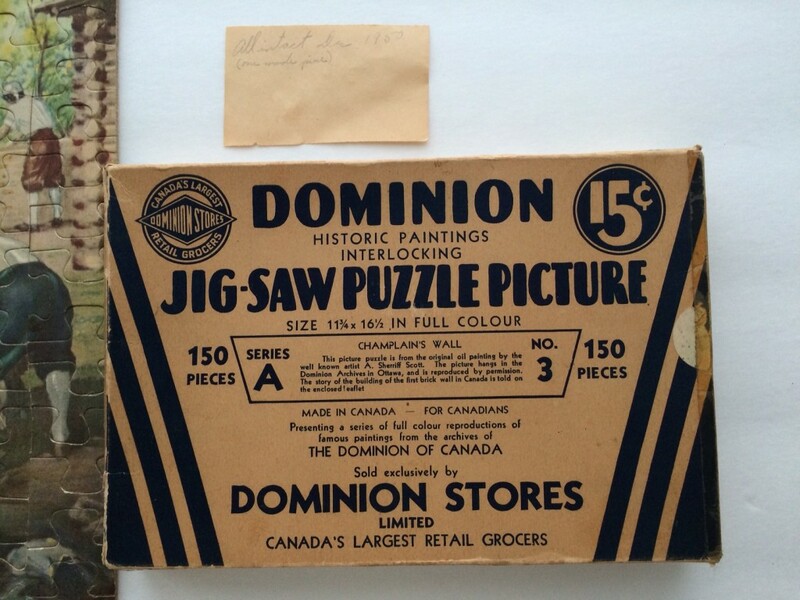 I located this Vintage Dominion Jigsaw Puzzle which dates back to 1945 at an Antique market AND it includes ALL the 150 pieces. When I first saw it I was sold on the box alone but only hoped all the pieces would be there. 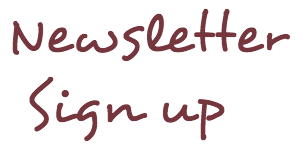 And as you can see – they are but one has been ‘made’ to complete it. Can you see which one it is??? So yes, I did ask the Vendor “How much is this? 15 cents? “””” - I can be ‘cheeky’ but to me $5.00 was acceptable… I love it!!!! 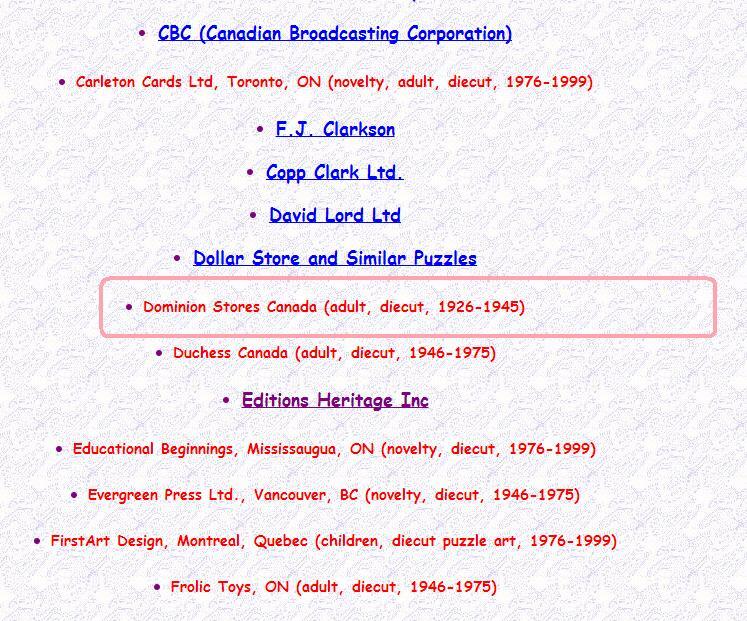 I have discovered from the website Canada Jigsaw Puzzle the closest information about this jigsaw puzzle (circled in PINK). 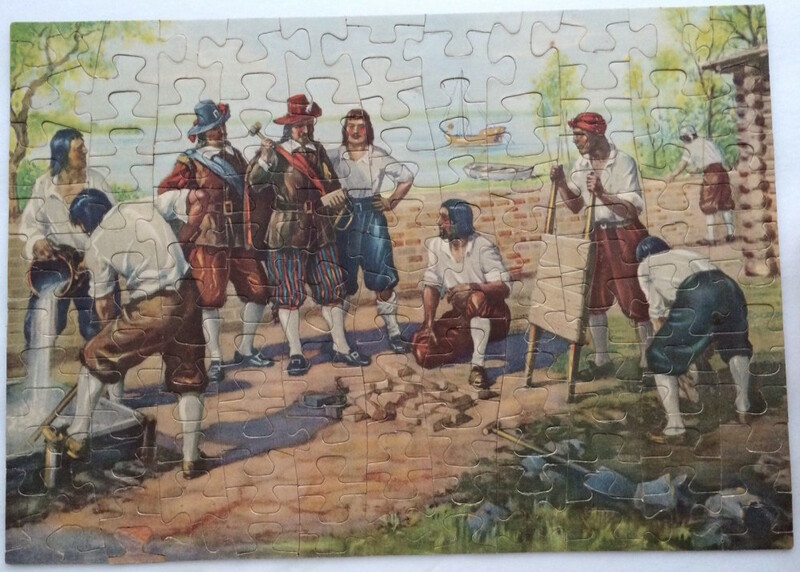 There is no box image or puzzle image to be found in a Google search (however it still may be out there…just sayin’). 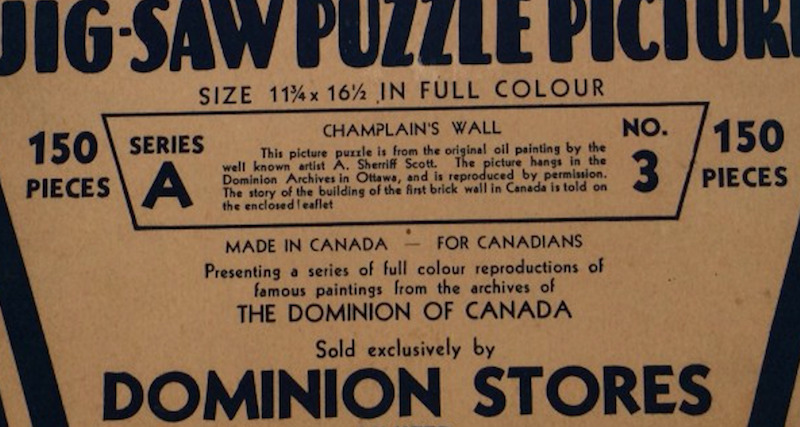 The jigsaw puzzle is all very readable on the box too. 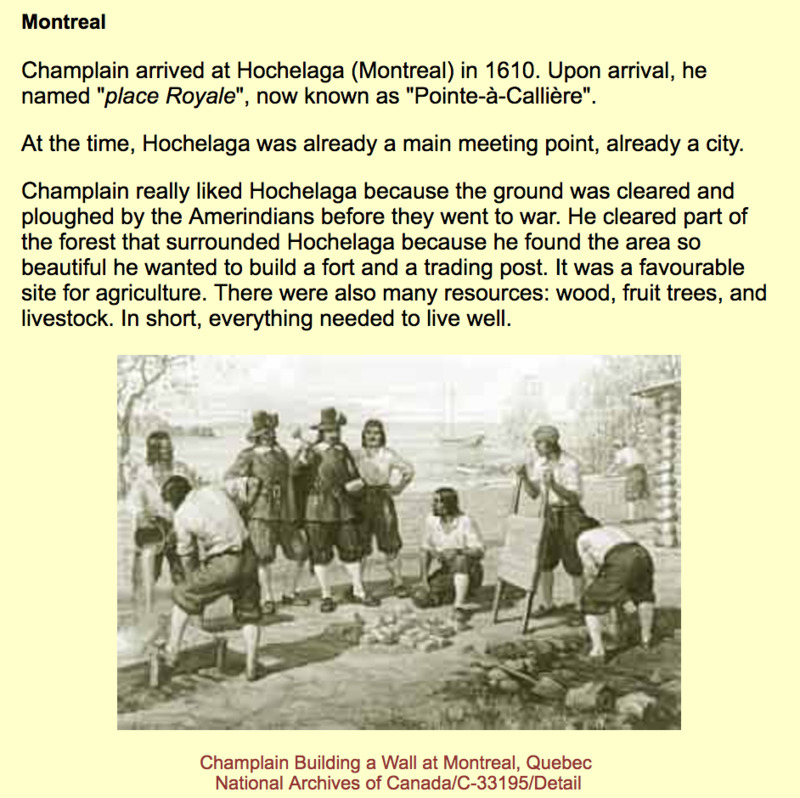 Here is some details of Champlain Building a Wall at Montreal, Quebec.